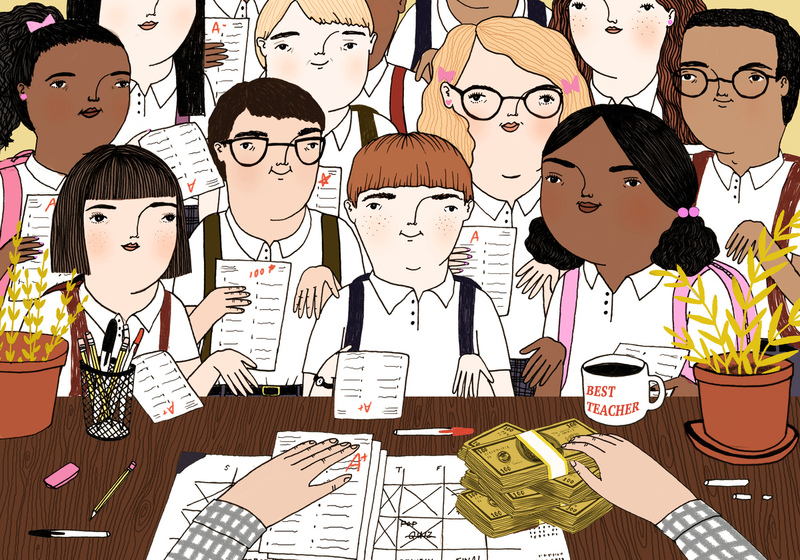 Paying Students May Raise Test Scores, But The Lesson Is Not Over : NPR Ed A research finding may have implications for attaching stakes to standardized tests. It also brings up questions about motivation — for tomorrow's test and for the rest of the students' education. At the end of the trial period, students took a "probe": a test with about 20 questions. They were repeatedly reminded by their tutors, including right before taking the test, about the reward. A teacher is currently suing U.S. Education Secretary John King Jr., formerly the top education official in New York state, over what she argues is the unfairness of these value-added measures. A New York State Supreme Court judge ruled in her favor earlier this month, calling her rating "arbitrary" and "capricious." Harris says not necessarily. Remember, value-added is based on comparing students' scores on two tests taken at different times. If the students aren't given any special incentive on either test, then any bias in the results would at least partly cancel out. But, says Harris, the basic result of Livingston's study does suggest something we have a lot of evidence about: the importance of student motivation. It's an "interesting angle" on the notion that "student scores are driven by factors beyond their own skills and knowledge."